European company 84.5mm / 100mm camera filters has just introduced the new X-Stopper series of long exposure camera filters. Prices of the X-Stopper filters starts at 89.00 € for 84.5 width and 109.00 € for 100mm width. European company 84.5mm / 100mm camera filters presents new series of photographic filters aimed for long exposure photography called X-Stopper - made of high quality mineral glass for the best results! 84.5mm / 100mm camera filters company describes why use of long exposure filters is often necessary: “Long exposure photography can seem frustrating to learn for the beginner, but it has the potential to create some amazing results. To create such a photography, especially in the daytime, photographer usually needs some sort of filter. Otherwise all photos will be just pure white (totally overexposed) images, because camera just can´t shot for so long time without using ND filter. Here comes the most useful filter for long-exposure, ND1000/1024 (10 F-stops) X-Stopper. It is a solid neutral density filter providing a 10-stop reduction in exposure. Having a 10x ND value means a normal exposure of 1/15sec will be extended to 1 minute! This makes it great for shooting ghost-like blur effects on water and clouds in daylight, while static objects are still sharp / at the same place. Material used for production of filters is Grade A highest quality mineral glass. Due to this fact filters provide photographers with the best possible optical features on the market. 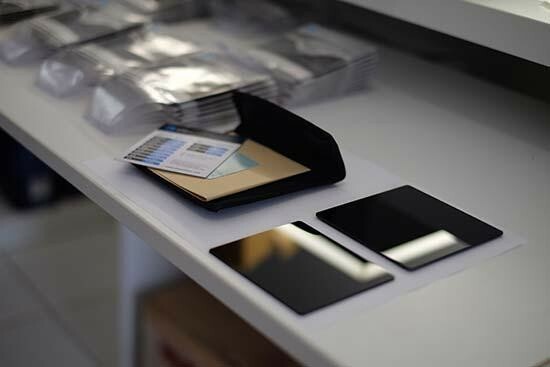 This material is often used by best producers of square camera filters. 84.5mm / 100mm camera filters won various awards including Digifoto Pro and Ephoto golden medals for its neutrality and optical quality and are used by most famous photographers like James Grant, Bart Heirwig etc. Shipping is worldwide. Prices of filters starting at 89.00 € for 84.5 width, 109.00 € for 100mm width.